The #lewisremodel started with a flooded basement and the snowball affect took place and rolled right upstairs to the main gathering area. 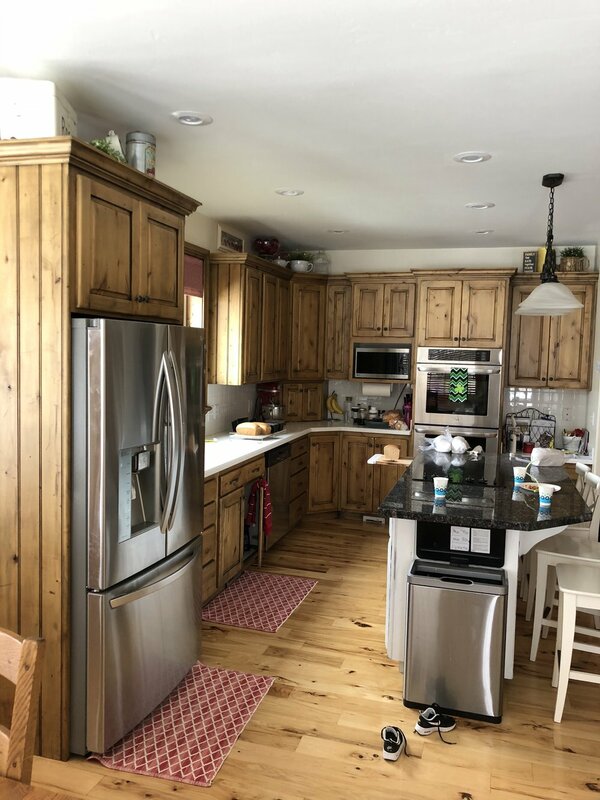 I named this project the #countryfarmhouse knowing that my sweet client wanted a mix of shabby chic and modern farmhouse - but not too much of one or the other! 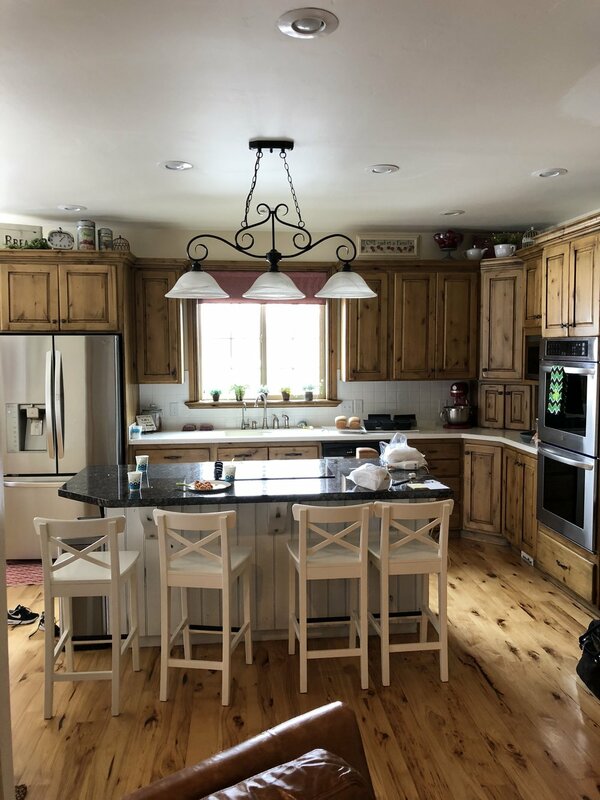 A white kitchen seemed like such a refreshing design decision after 17 years of dark stained cabinets & granite countertops — so we went for it! And myself and the clients are in love. White is so classy; I don’t think of white kitchens as “trendy”, but rather timeless. What you surround them with and compliment them with is what creates the “trendy” feel. It took a handful of samples to find the perfect white to balance the warm creamy walls and they finished so crisp and clean! Aesthetically, the carpet was a huge game changer!! From almost black to a light taupey gray transformed the entire space alone. Yanking out the blinds & selecting the textiles for the window coverings softened the room to compliment the beautiful tall ceilings. As for the furniture - these custom pieces joined the family well before, knowing that everything around it was getting a face lift in the future! Keeping allll the furniture neutral, yet textured, is my recipe for goodness. Add those splashes of color in your pillows & accessories and you are right where you should be. Our splash of color was a soft red & earthy greens! And! Last part i’ll mention (for today ;) ) is the FIREPLACE. Ahh this thing was the baby and focal point of the design. I wanted to carry the shiplap from the basement, upstairs but in a little bit sleeker way. The mantle is probably my favorite part - so chunky, but minimal at the same time. And THAT BRICK. We just love it. Such good tones to compliment our soft reds throughout the main floor. E N J O Y!